We’re excited here at Essig Motors to offer the 2019 Chevrolet Silverado. With an all-new design inside and out, this pickup truck is more than ready to transport you, passengers, and plenty of cargo virtually anywhere you want to go. It will also make the drive pleasant and even productive. Get the best customer service and enjoy amazing selection at Essig Motors. In fact, you can view our inventory of Chevrolet Silverado models and more right here on the website. No matter which of the eight available trims you choose, the Chevrolet Silverado comes standard with amazing capabilities. It’s the truck you can use to take on difficult conditions time and again. Chevrolet offers plenty of choices for powertrains. Choose the 6.2-liter V-8 with 420 horsepower and 460 lb.-ft. of torque, plus an advanced 10-speed automatic transmission. If that’s too much, the 5.3-liter V-8 with an 8-speed transmission provides 355 horsepower and 383 lb.-ft. of torque. Available with either Dynamic Fuel Management or Active Fuel Management, this engine is also a good choice for efficiency as well as power. There’s also a 4.3-liter V-6 with Active Fuel Management. It produces 285 horsepower and 305 lb.-ft. of torque. If you still want amazing efficiency and more power, the 2.7-liter turbocharged engine provides 310 horsepower and 348 lb.-ft. of torque. You could also go with the 3.0-liter Duramax turbo-diesel. An optional driver mode selector allows you to adjust performance to conditions by just turning a dial. This way you get the right response to any situation. 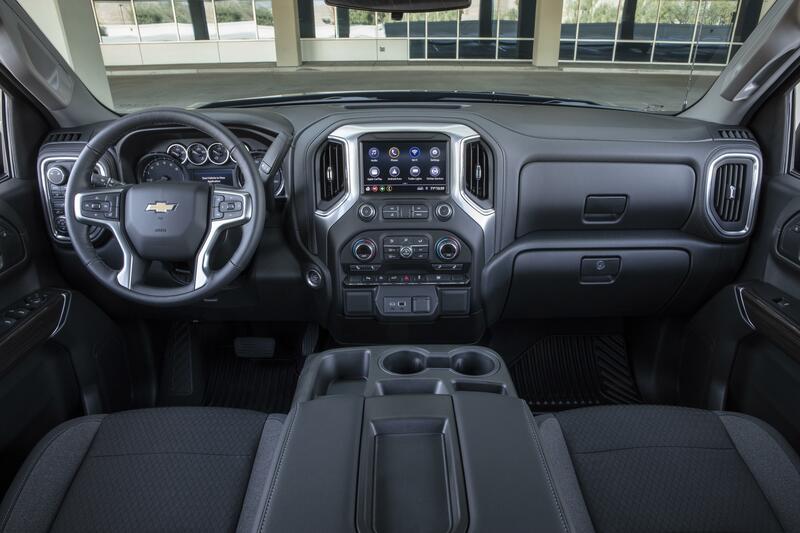 The Chevrolet Silverado helps you keep up with a busy life using advanced technologies. Various systems keep you connected and informed, plus entertained as well as safe as you travel. Many of the available technologies help with towing, an activity which can be sometimes stressful. An in-vehicle trailering system helps you to remember everything necessary to set up before leaving for a destination. Trailer profiles help you to properly manage each of your trailer’s unique needs. There’s even a trailer light test, which activates the brake lights and turn signals while you stand outside, so you don’t need to have someone else with you each time. Other technologies, like available 4G LTE WiFi, a head-up display, and driver assistance systems help you to manage the truck and your life on the go. Your truck should help you get things done. Even the smallest details in the Chevrolet Silverado has been designed for accomplishing everyday tasks. Stay more productive and comfortable with this amazing pickup. Because the bed is a pivotal part of any pickup, for 2019 it was completely redesigned on the Chevrolet Silverado. It’s larger than before, so you can fit more inside. A strong design boosts payload capacity, yet the structure weighs less, increasing fuel efficiency. You can even add a power up/down tailgate. 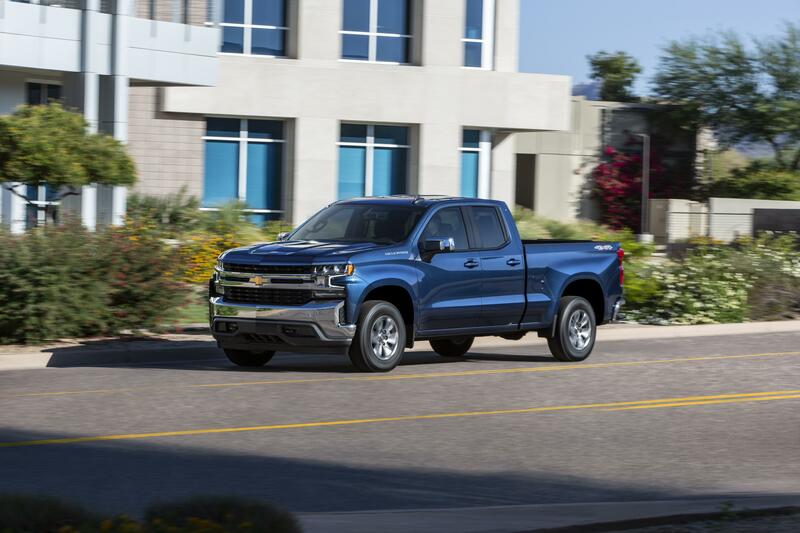 Now that you know more about the 2019 Chevrolet Silverado, it’s the perfect time to experience it for yourself. Visit Essig Motors today for a test drive.